The inside of the central tower is one single large room. It is 21 meters high and currently the highest room in Scotland. 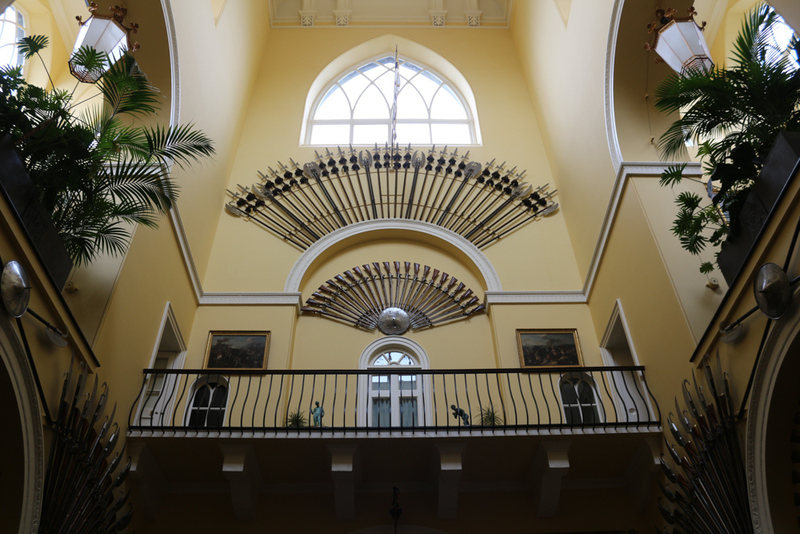 It hosts a huge arms collection with weapons from the 16th to 17th century.